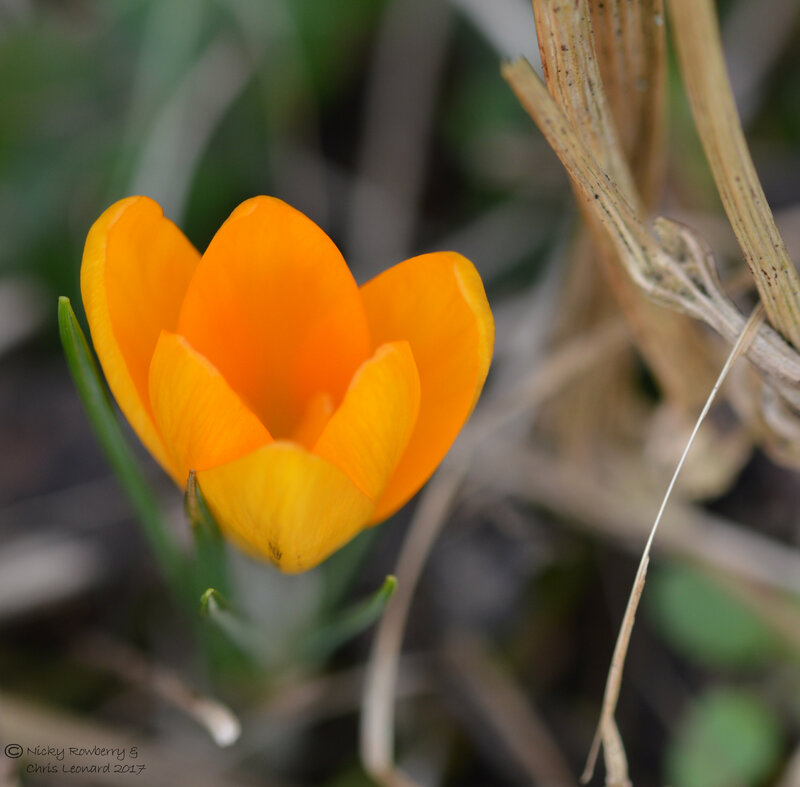 Yesterday there was a real feeling that spring was in the air. I know it’s technically still winter, but the day felt hopeful. The sun even made a (brief) appearance after what seems like weeks of grey skies here in Malvern. 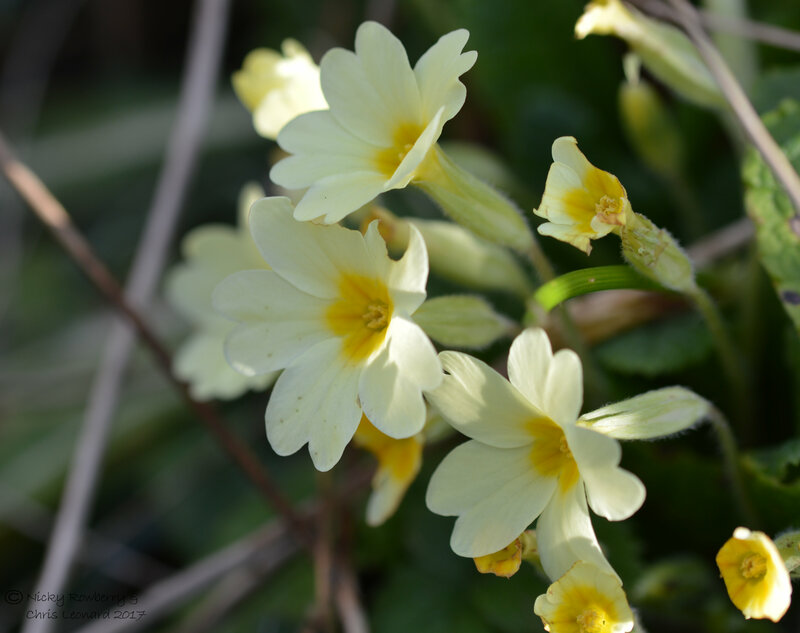 The primroses and crocuses were all out bringing a little cheer to the garden. I had hoped there might be a few bees out and about, but was very happy instead to see my first hoverfly of the year. Eristalis tenax (also known rather unkindly as the Common Dronefly) was rather obligingly sunning itself on some large leaves. 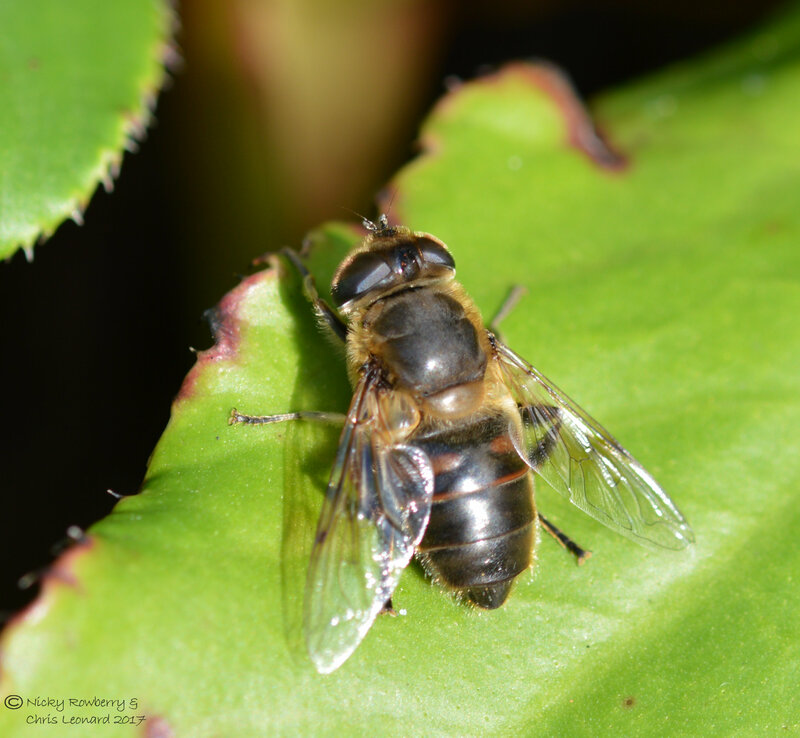 I’m very much a novice when it comes to hoverflies, but a very helpful man on Facebook ID’d it for me, with the top hoverfly tip that it is the only one like this that has enlarged hind tibia – which is probably the equivalent of fat calves on its back legs! 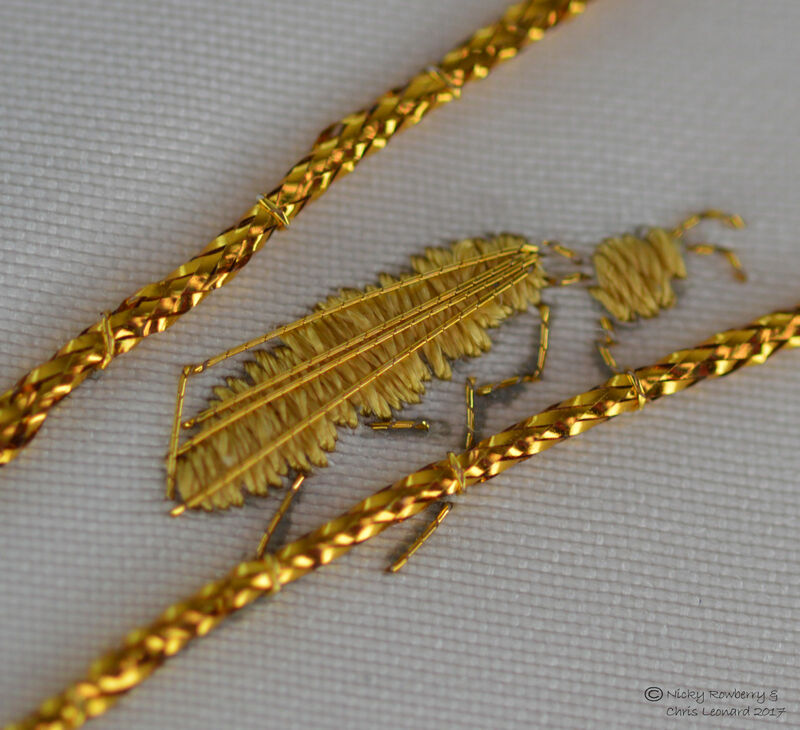 I have been missing taking macro shots over the winter, so it was really nice to see at least one insect. I’ve tried the moth trap a few times over the last few weeks, but it has been completely empty each time – I need a mothy fix soon! 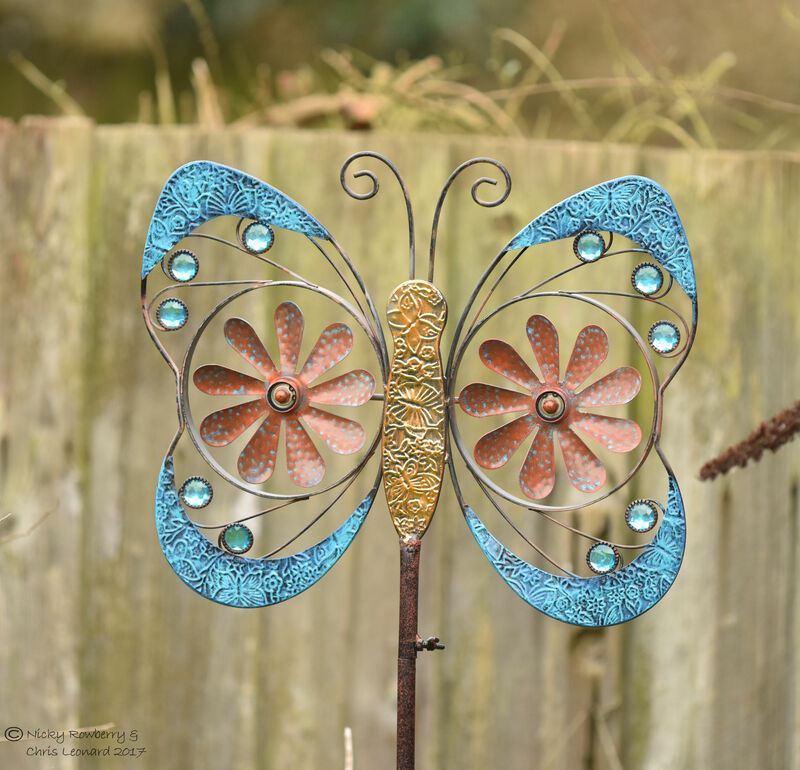 The Garden Moth Scheme starts again in a few weeks, so I hope things pick up before then. There may not have been many insects about lately, but there are always plenty of birds in the garden. 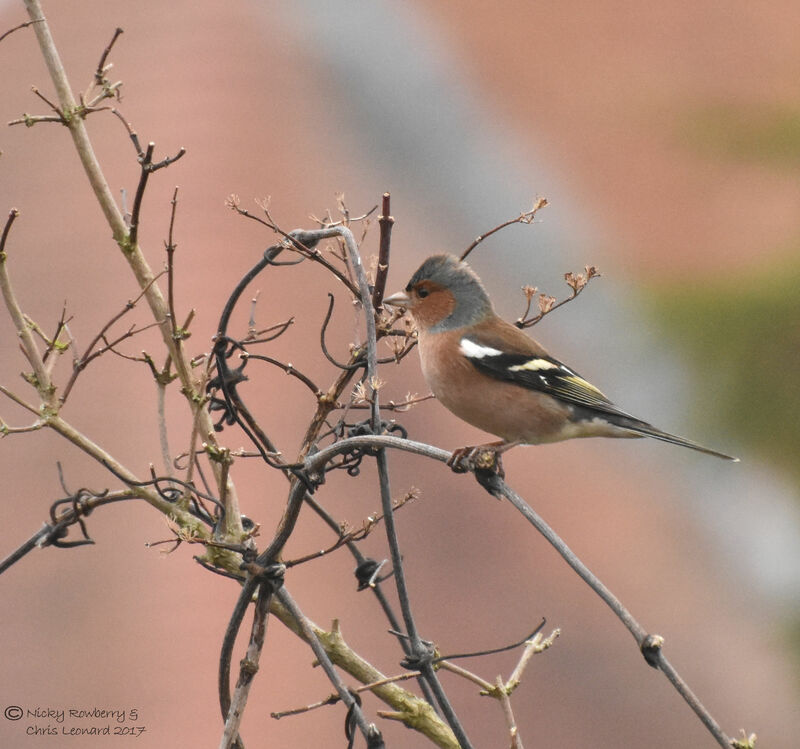 Chris was (very unusually) up and about early and spotted a first for our garden – a lovely chaffinch. Despite the abundance of food I put out, this is the first time we can remember seeing one and definitely the first time either of us has got a half decent photo of one in the garden. Of course only he got to see it. 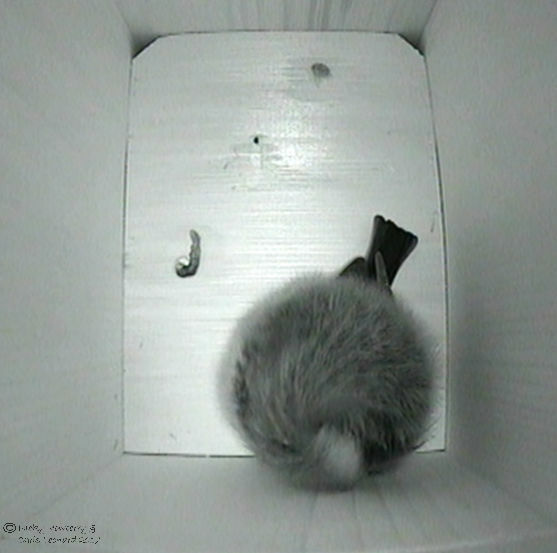 While he was still flushed with the success of the chaffinch – another first – a gorgeous male bullfinch arrived too! 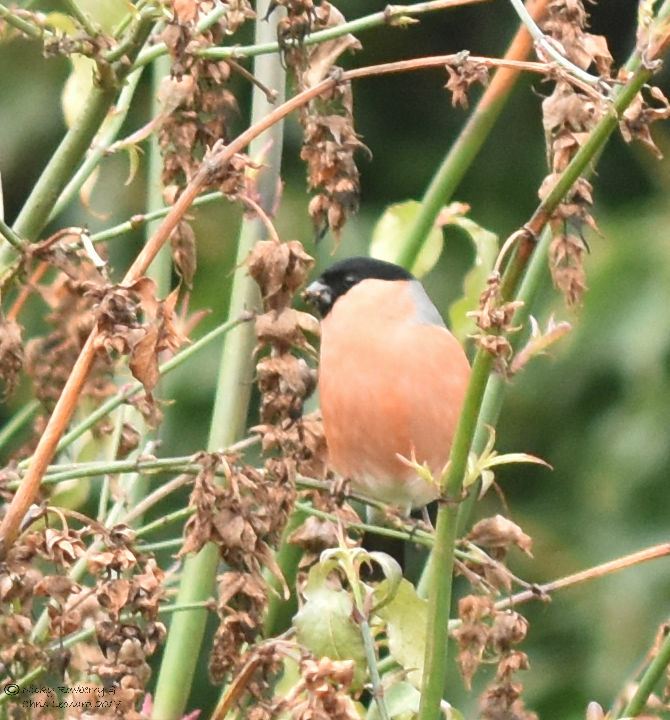 A few weeks ago I’d thought I’d picked up a fuzzy shot of a bullfinch on the trail camera, but it had been too far away and way too blurred to be sure. 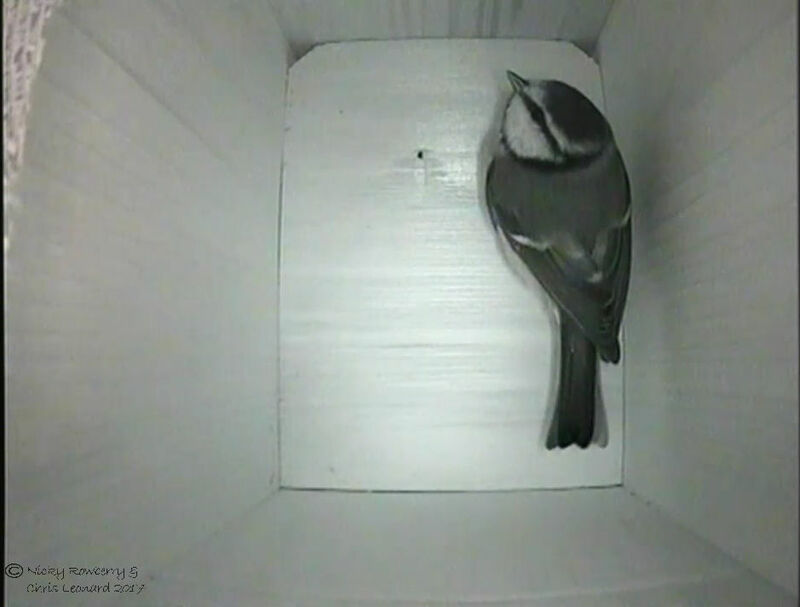 So it was great to get a proper shot of it; not only that, but it was actually in the same bush as the fuzzy trail cam image, so it sort of confirms the first one. Needless to say I missed the bullfinch as well as the chaffinch! Determined to see at least some kind of finchy activity, I then spent an hour sitting behind a camouflage net in the garage peering through at the niger seed feeder. 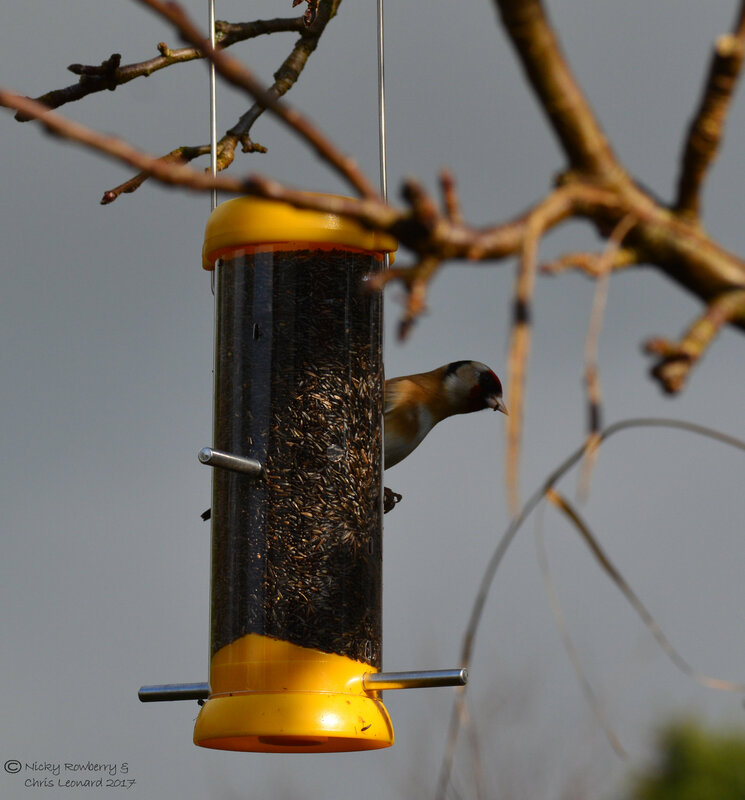 I was rewarded with a very brief glimpse and one dark and grainy shot of a goldfinch. Not a first as we get them regularly, but at least Chris missed this one! 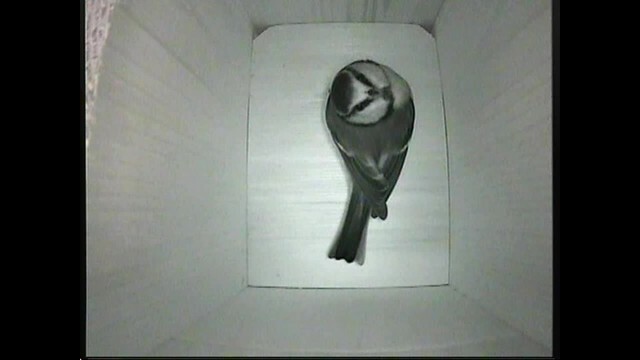 Just need a greenfinch now! Yesterday was also the first real chance to appreciate this in the sunshine – a present from my friends Helen & John. Perfect thing for the Too Lazy garden. Seeing the wind vane (I think that’s what it’s called?) made me dig out the camera to take a few pics of some other presents I’ve been lucky enough to get which reference the Too Lazy blog. 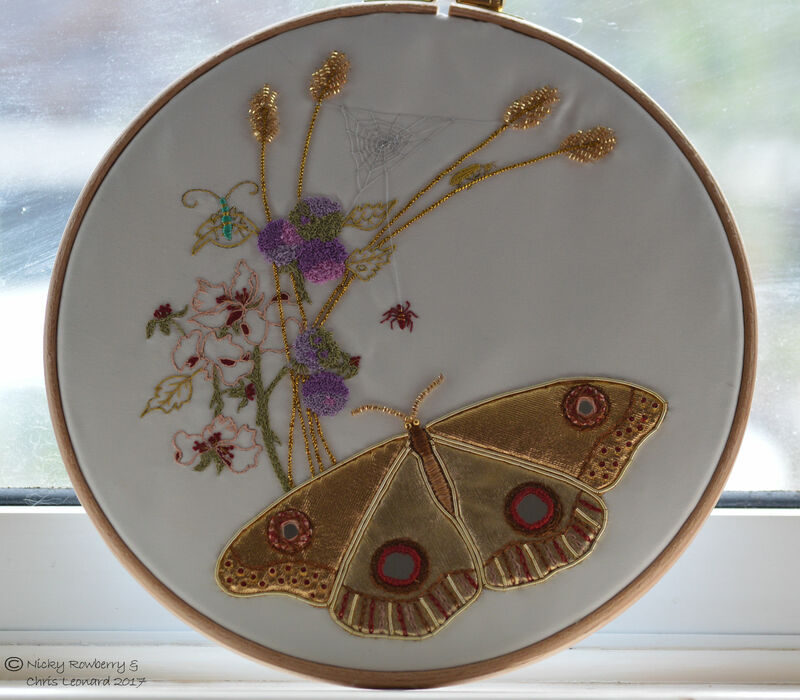 Last month my friend Mhairi gave me this amazing embroidery that she’d made for me – it has everything – a butterfly, a moth, a spider and even a beetle. 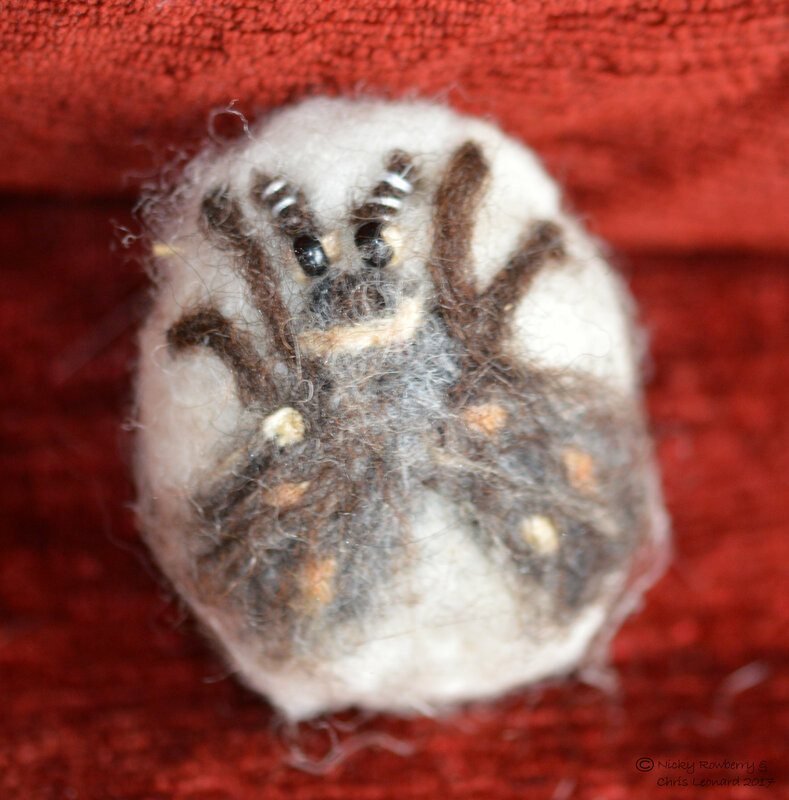 Then there are the “moth balls” that my friend Bette gave me. 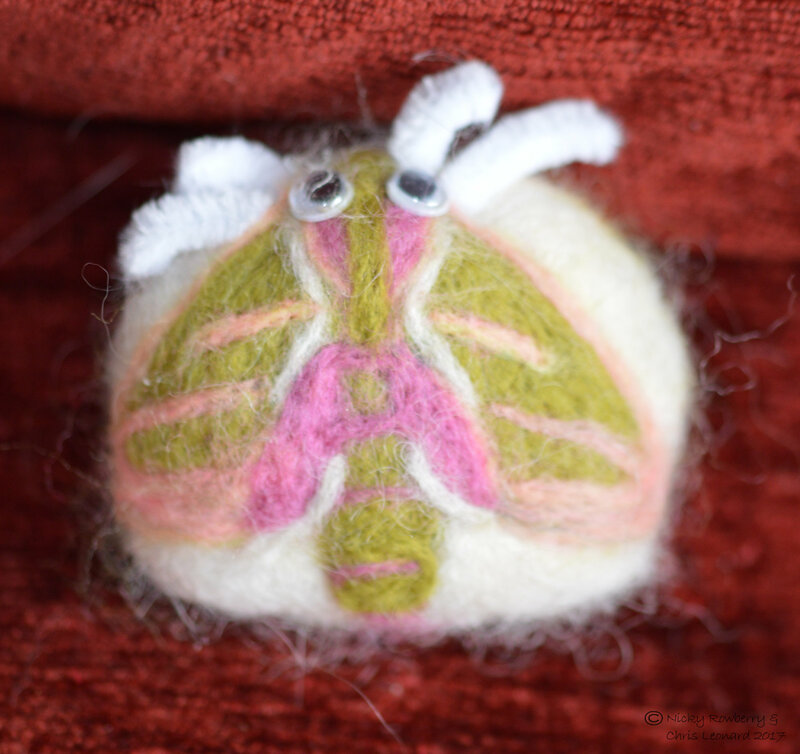 In reality needle-felted balls with an Elephant Hawkmoth and a Moth Fly that she made herself using a couple of our photos for the designs. 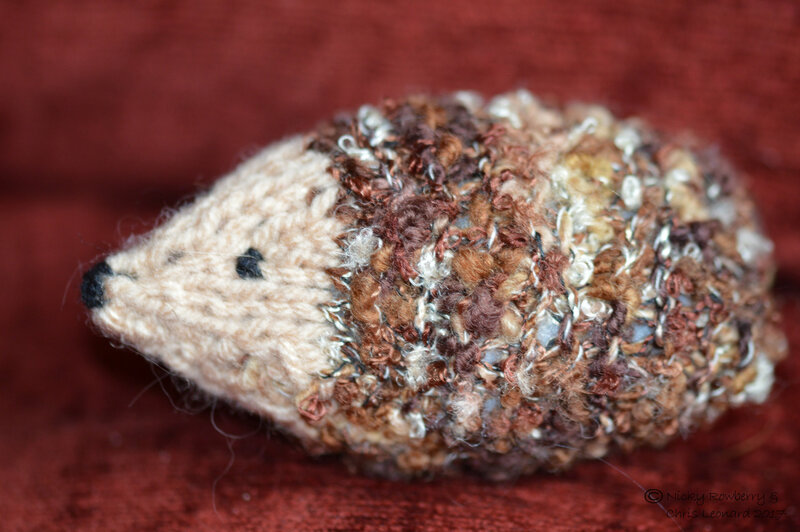 And finally a knitted hedgehog from my mother-in-law bought for us for Xmas. It’s great to get gifts like this that are so personal and relate to things we love. And it also means they must have been reading the blog – bonus! Just a quick update on the newest member of our family – our foster hedgehog Meadow. He’s been with us now for over a month and I’m very relieved to say he seems to be doing fine. We check on him every day to make sure he’s got plenty of food and water and that his newspapers don’t need changing, but other than that he is pretty low maintenance. We think he’s been hibernating quite a bit as most days his food’s not been touched, although he does get up occasionally for a snack. We hardly ever see him as he is normally buried deep inside a nest of hay and we try to disturb him as little as possible. 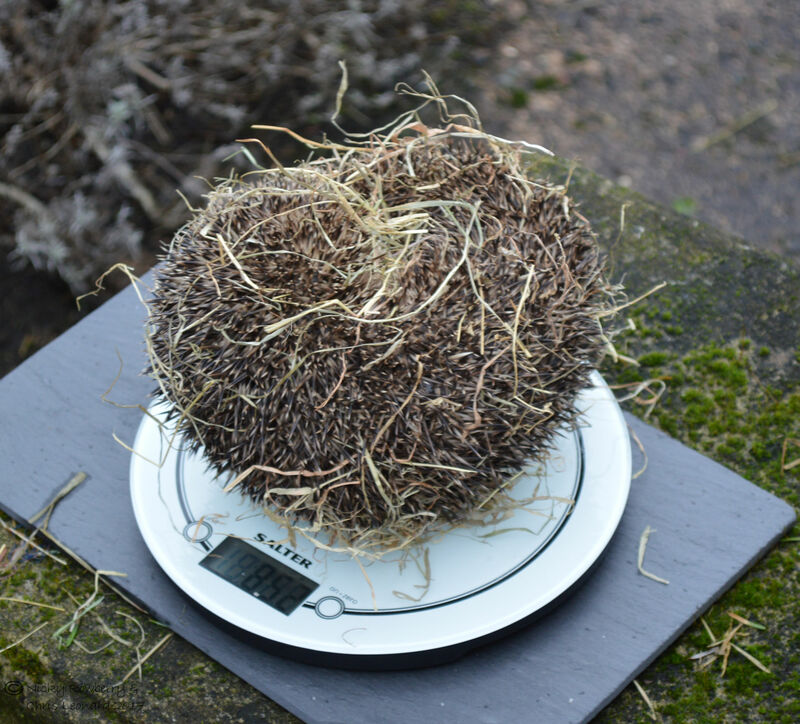 But Viv our hedgehog guru from Malvern Hedgehog Rescue has asked us to weigh him, initially every week, but now we do it fortnightly. So today was weigh-in day. 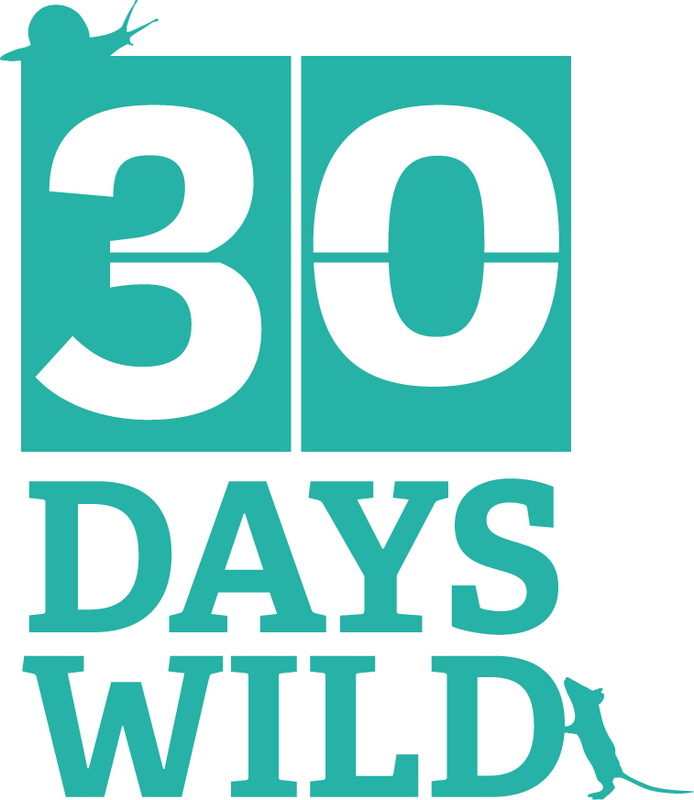 Armed with a pair of gloves, a set of scales and a husband, I approached the hay stuffed sleeping bag he uses. 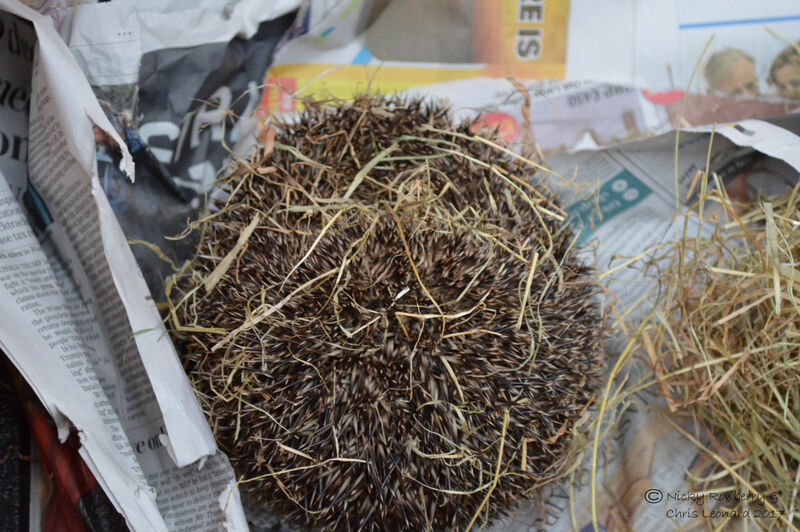 I grabbed what I hoped was a ball of hay around a hedgehog and Chris pulled the bag off. There was a lot of huffing noises coming from the hay, so I knew he was in there. It took a while extract him , but eventually we cleared enough hay to reveal him and popped him on the scales. A respectable 852g (minus a few grams for stray hay perhaps). 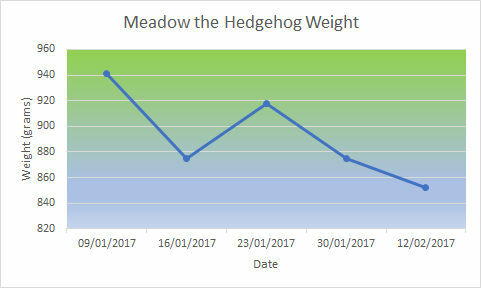 He was about 940g when he came to us, so he’s lost a bit in the last month. Considering he’s been hibernating most of the time, the weight loss isn’t cause for concern. He does after all always have food there if he wants it. He stayed curled in a ball while I cleaned out his hutch and put fresh food and water down. We then repacked him into his hay filled sleeping bag. We’ve probably not got it all arranged to his liking, so he may well come out tonight and drag things around a bit to get everything how he wants it. So that should be it and we hopefully won’t have to disturb him for another fortnight. Sleep well Meadow.